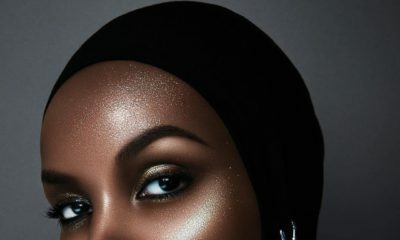 Do You Own a Nigerian Fashion or Beauty Brand? 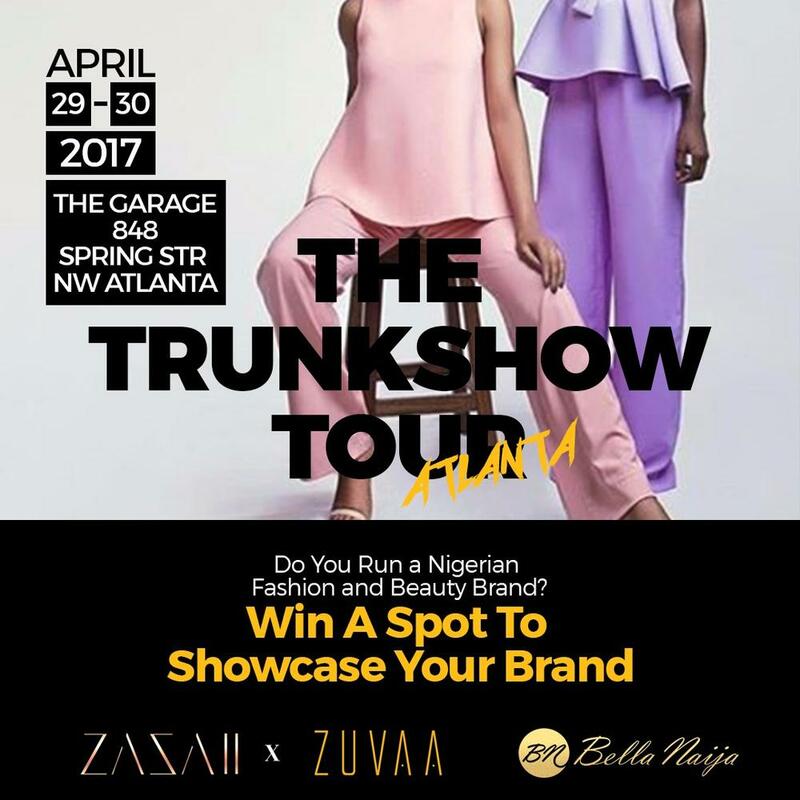 Win a Spot to Showcase Your Brand at the ZAZAII & ZUVAA Trunkshow Tour in Atlanta! 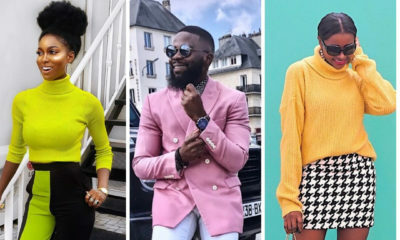 Popular Nigerian fashion department store, ZAZAII has teamed up with ZUVAA for a pop-up trunk show tour in over ten cities in the United States this year. 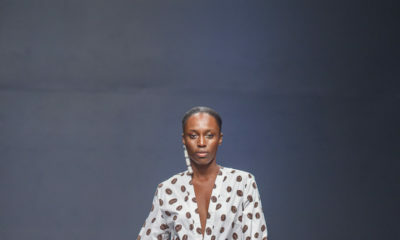 Kicking off in April, this truly exceptional tour will be a great opportunity for the diaspora public to truly discover artisanal African fashion. As partners of this initiative, BellaNaija Style is teaming up with ZAZAII to give ONE fashion or beauty brand the chance to showcase their brand internationally with the opportunity to be a part of this trunkshow tour in Atlanta. Venue: The Garage – 848, Spring Str NW Atlanta. Leave a comment below telling us why you deserve to win. Leave your Instagram handle as well. Goodluck to you and if you don’t win for the Atlanta edition, check back for the other states and enter to win! Wow braids is a brand of hand made braided wigs that operates as a social enterprise by creating jobs for women at the bottom of the pyramid in Nigeria. Our flagship product is the million braid wig which is very popular in Lagos and we are looking to take it to the US market this summer. The trunk show would be a great way to introduce Wow Braids to the Larger US market which will also us to scale the impact we have on the lives of women in Nigeria. RUTABAGAE CRAFT is an indigenous Nigerian Brand that specializes in different types of Purely handmade beaded accessories, bridal accessories and twine weaving. Over the years our brand continues to grow and we seek to expand further in the future. Am the new age fashion designer cause I know what the new age wants and what is trending for it. Giving me a chance to win this will help change the ball in the fashion industry and make it have a new face and give hope to upcoming fashion designer by letting them know that not only the big names deserves a chance. FABULOLYRICSTRENDS is a fashion brand which deals on unisex designs for both male and female & bespoke. We are all about the trends and comfort. Cause what is fashion if you ain’t comfortable in it. So when help to being that into reality by creating stuffs that would be it’s own voice without even the person wearing it saying a word. My instagram handle is @fabulolyricstrends go check my designs out.